We do live in a time of rapidly changing attitudes — so rapid, in fact, that there are people who can't and won't keep up. Some of the changes that have crept into our daily lives over the past 20 years have only made life better but we know how far we still have to go. One of the ways I gauge change is to go back and look at things I wrote in an earlier time. Because I was a columnist in a daily newspaper — The Daily News in Halifax — I have a fairly handy record of how things were in an earlier time. This is a column I wrote in August of 1989. It shows a difference in attitude not only from then till now but going back even further. You'll see what I mean. It's no secret that the people in power are the ones who keep the official records and, thus, become the recorders of history, is it? I've been keeping this in mind all summer while I've been working on a project that demanded much historical research. Here's a sample of something I've read about the lives of the native population before the arrival of the Europeans: “...They were divided into many tribes, having different languages and customs. They wasted their strength in frequent fighting. This book is called A Canadian History for Boys and Girls. This beautiful interpretation is from the book The Micmac, by Ruth Holmes Whitehead and Harold McGee. I'd hate to think what Emily P. Weaver would have done with the same subject. Until I discovered the Whitehead/McGee book (I called Ruth herself), the old Weaver history was one of only two books I had that gave any information about native history at all. In most books, the history of Nova Scotia begins with the arrival of John Cabot. Although the Micmac had been living here for 10,000 or so years, they seem to have been invisible to Cabot – who immediately claimed the land for England – and to later historians, who seemed to believe that life began with the arrival of the Europeans. 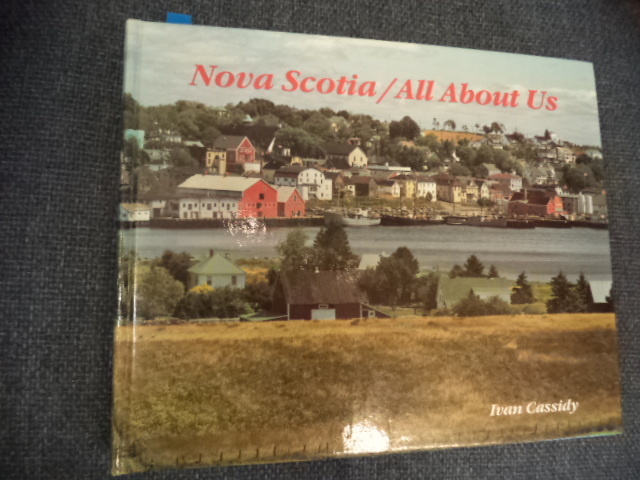 The other exception is a gem of a book called Nova Scotia/All About Us by Ivan Cassidy published by Nelson Canada, a division of International Thomson Ltd. 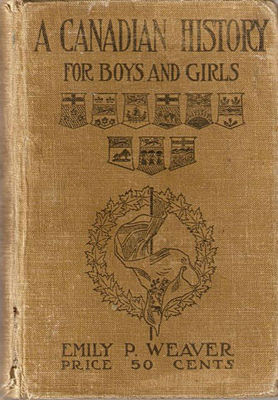 Although the book covers a good deal of material, right up to the present day, it presents a concise and respectful history of the lives of the Micmac before the arrival of the Europeans under such appealing titles as Seasonal Activities, Preparing Food, Shelter, Clothing and Equipment, and Family Life. Just what young people would want to know, I think. It's good to see the attitudes in the reference books changing somewhat; it's also saddening to consider how much influence those earlier books had on the way people think – not just the people of the dominant culture who identified with the writers of the books, but also the people who were diminished and made invisible by material that was seen to be true history. History is a powerful tool and has so often been used to justify prejudice and discrimination. Santayana said that those who cannot remember the past are condemned to repeat it. Likewise, those who are given false representations of the past are more easily manipulated and more easily managed by those in control.